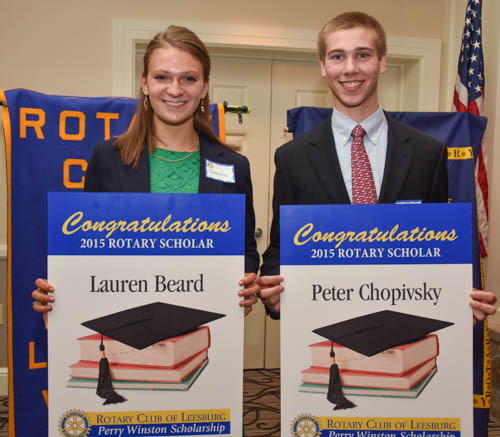 2015 Rotary Club of Leesburg Perry Winston Scholarship Winners Lauren Beard and Peter Chopivsky. 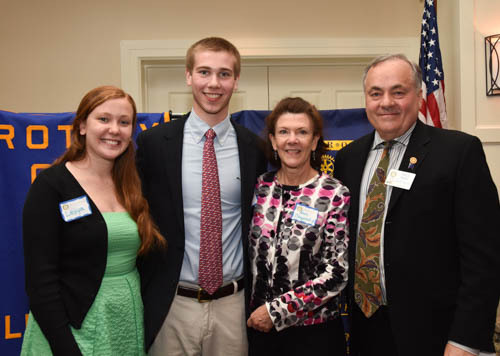 The Rotary Club of Leesburg celebrated two winners of the $10,000 Perry Winston Scholarship awards for 2015. 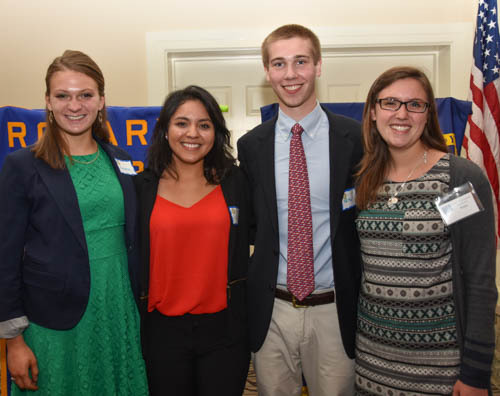 Seniors Lauren Beard and Peter Chopvisky competed with more than 40 other Leesburg area seniors. 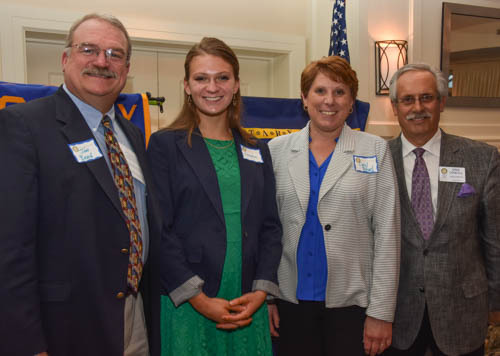 These two exceptional students were joined by several past winners who offered their support and congratulations. The winners provided inspirational comments about the award and their college plans. They received heartfelt, standing ovations from the audience. 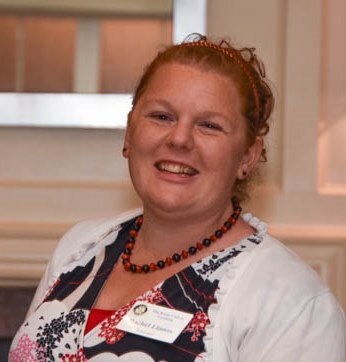 Lauren Beard will be graduating from Loudoun County High School and was very active in the school band as Drum Major. She will be attending Virginia Tech. One of her plans at college is to participate in “Ut Prosim Week”, the largest collegiate Relay for the Life in the world. Peter Chopivsky will be graduating from Tuscarora High School and was very active in his Decca Club, attending the national conference in Atlanta. He plans to attend the University of Virginia. Several members commented that meeting and supporting these outstanding students makes it one of the best events of the year.